Clear targets of learning outcomes from the Alberta Science Program of Study and our main unit project can be found here. 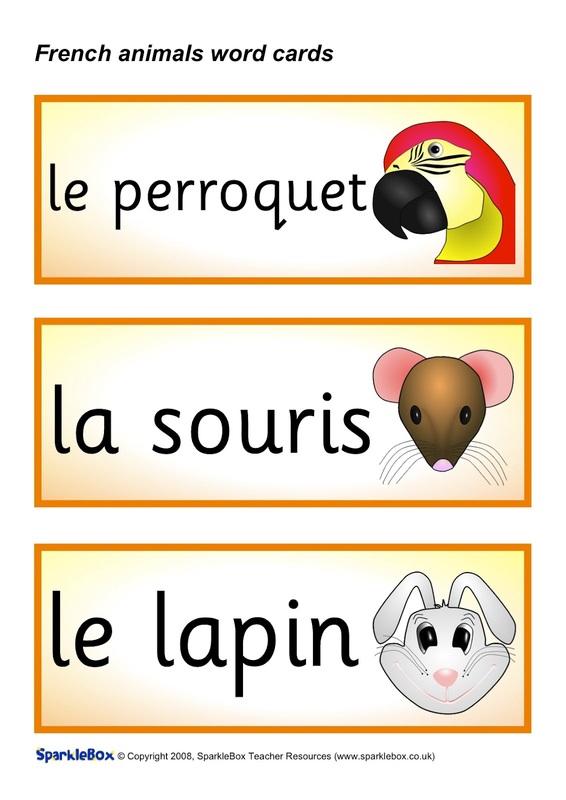 We first used this vocabulary during journal writing, even before the science unit had started. 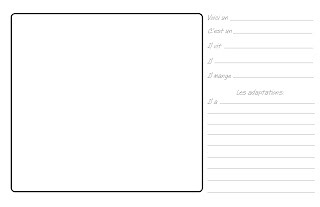 Students had written "Qui suis-je" sentences about one another describing one another's clothing and physical characteristics. The class had to guess who the student was describing. 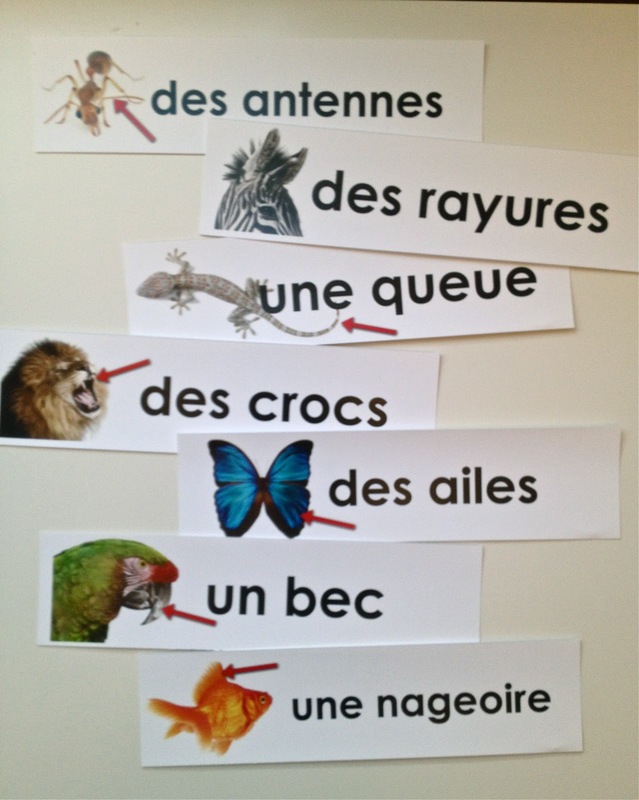 Our next step was to write "Qui suis-je" clues about animals. 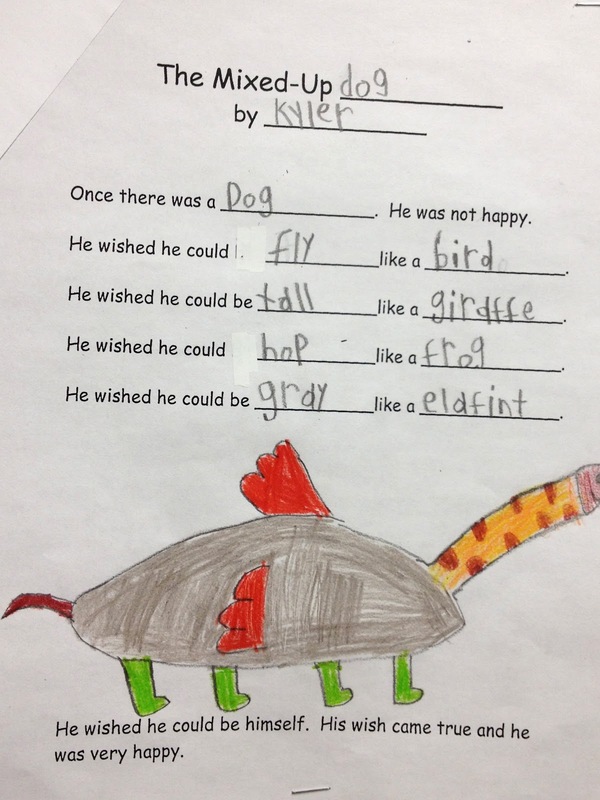 Once again students would share their clues with the class and we would guess the animal. 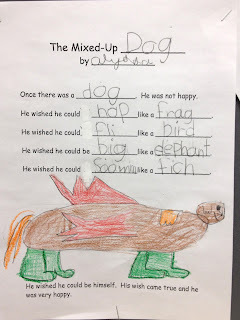 By the time we were ready for our unit about animal needs and adaptations students were familiar with the vocabulary of animal adaptations. 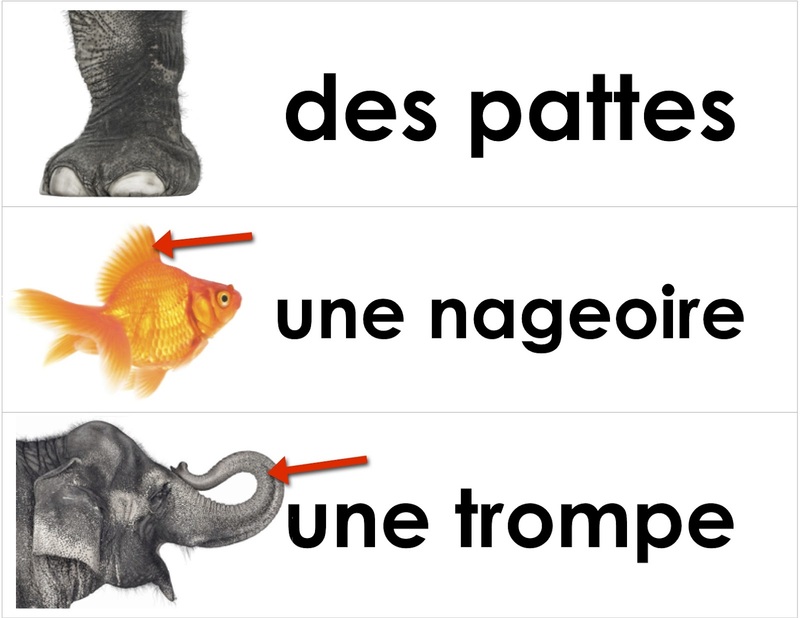 Gives a quick overview of examples of adaptations of a camel. 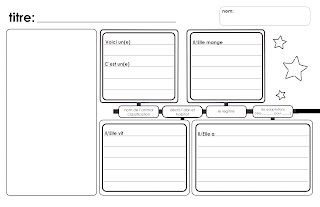 Students invent an animal (draw, paint, build with clay, create on Show Me App) and use this template and sentence prompts (if needed) to describe the creature and it's adaptations. Students can be challenged with a problem their creature needs to solve ie, it must be a pollinator, a creature that will control a pest problem (mosquitoes?) etc. 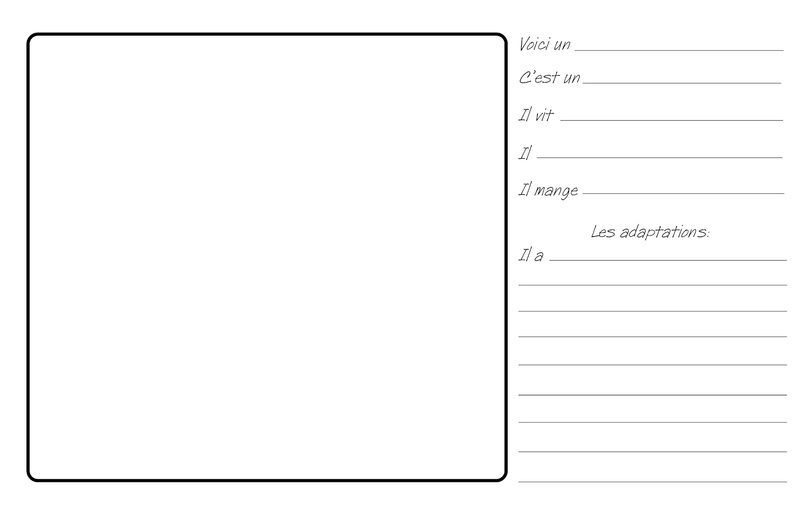 If you are economizing on copies this template may be better (2 per sheet). 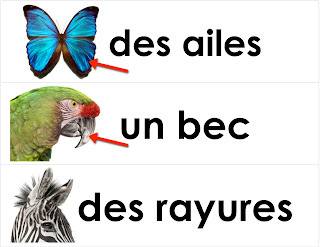 It can also accompany multimedia animals that may not be 2D. 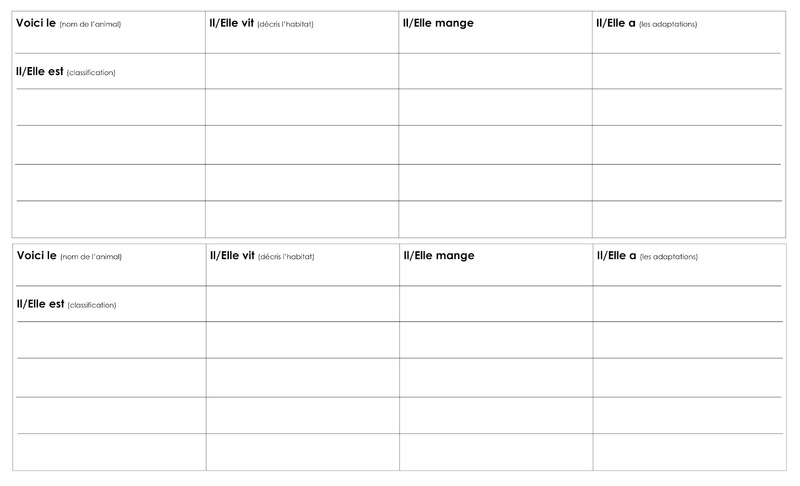 This document is purposefully similar to the timeline project students completed earlier in the year. 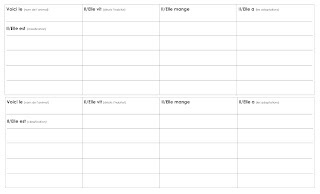 The template is another familiar way students can record their learning. Léon le caméléon de Mélanie Watt - Léon n'est pas un caméléon comme les autres : il ne peut pas se camoufler. 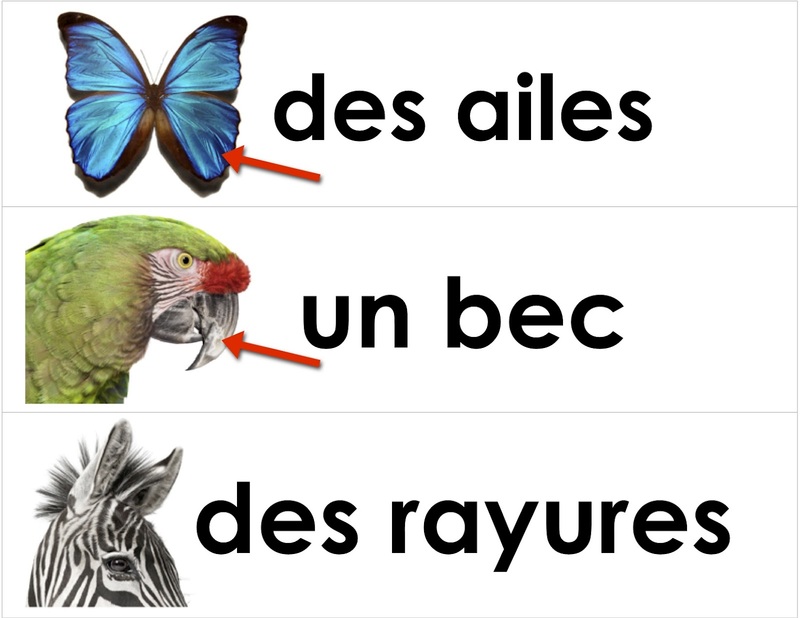 Dès qu'il se tient sur quelque chose, il devient de la couleur opposée. 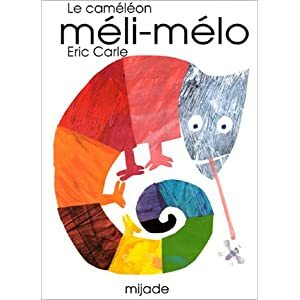 Le caméléon méli-mélo de Eric Carle - La vie du caméléon n'est pas très passionnante jusqu'au jour où il découvre qu'il peut non seulement changer de couleur, mais aussi de taille et de forme. After reading the mixed-up chameleon grade 1 student in the English program invented these animals. 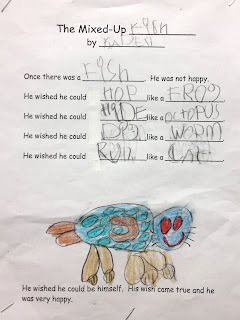 The FI students had learned about animal adaptations and had used this vocabulary to write "who Am I" statements in their journals. 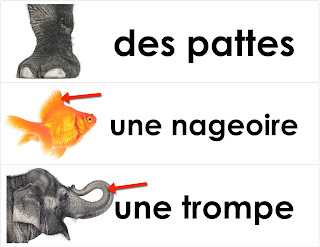 They were familiar with this vocabulary and could use it to describe the adaptations of their invented animals. Project Noah is a web tool and iPad app to explore and document wildlife and a platform to harness the power of citizen scientists everywhere. Your class can track and earn badges as they post spottings of local animals. 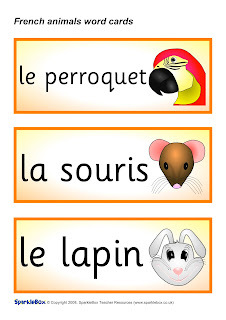 Students can log into the account and add any animal they find, very easy to start up and maintain for the duration of a unit of learning. Beware, students will want to continue to track local wildlife with this tool long after your unit of study is complete. 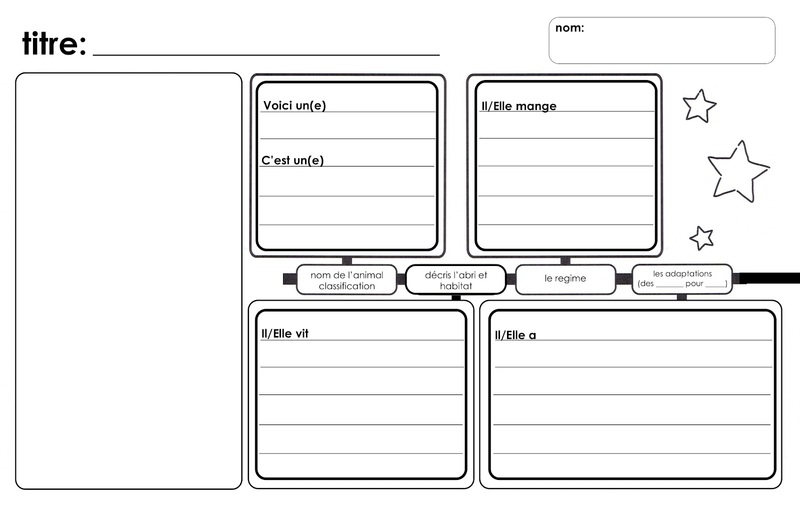 English only, perhaps home/school learning tool? 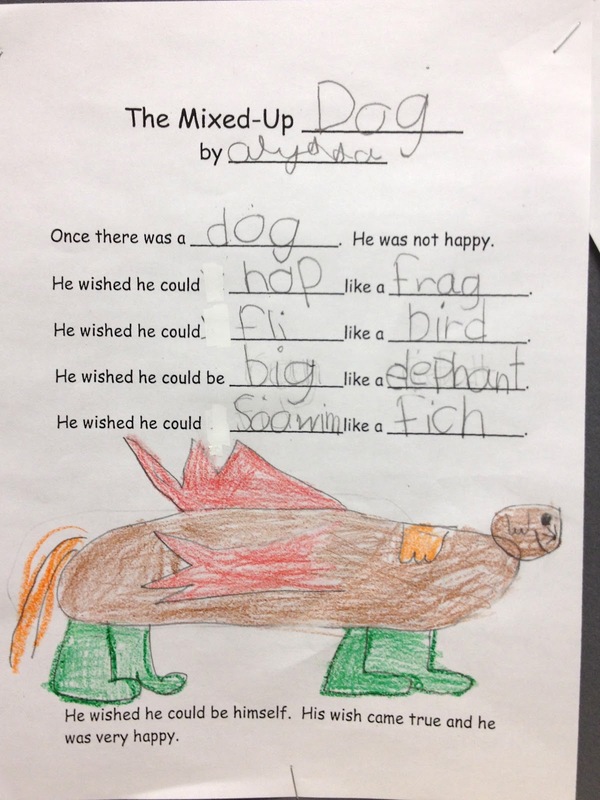 Eric Carle's story "The Mixed Up Chameleon" (English).